Keith M. Blechman, M.D. is a plastic and reconstructive surgeon in New York, New York. 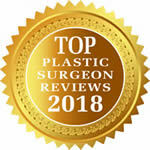 He is Board Certified by the American Board of Plastic Surgery, and his practice offers excellence and compassion in cosmetic surgery, reconstructive procedures for skin cancer and breast cancer, as well as transgender breast surgery. Dr. Blechman provides the highest quality care and offers the most cutting-edge techniques and therapies. Dr. Blechman was raised on Long Island, and received his undergraduate degree with Honors from Brown University. He was then recruited by Teach for America to work as a physics and chemistry teacher at a public high school in Oakland, California. After two years as a teacher, Dr. Blechman matriculated at New York University School of Medicine. During that time he became fascinated by the creativity and innovation of plastic surgery. His interest led him to New York University’s Institute for Reconstructive Plastic Surgery where he studied stem cell biology in wound healing and tissue regeneration. After medical school, Dr. Blechman remained at New York University Medical Center in the renowned six-year plastic surgery residency program, and was mentored by a host of internationally recognized cosmetic and reconstructive plastic surgeons. He then went on to complete a fellowship in reconstructive microsurgery at MD Anderson Cancer Center in Houston, Texas, the nation’s highest-ranked cancer hospital. 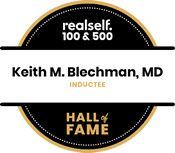 It was there that Dr. Blechman honed his skills in reconstructive surgery for cancer, and was mentored by some of the world’s leading experts on the microsurgical treatment of lymphedema. Dr. Blechman’s practice is located on the Upper East Side of Manhattan, where he is affiliated with Lenox Hill Hospital, Manhattan Eye, Ear, and Throat Hospital, New York Eye & Ear Infirmary of Mount Sinai, and New York Methodist Hospital in Brooklyn. 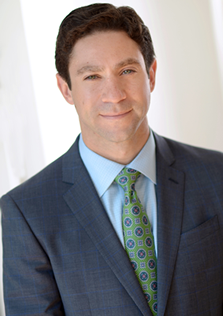 Dr. Blechman has presented research at numerous national and international conferences, and is an author on multiple publications in peer-reviewed journals including Plastic and Reconstructive Surgery, the Breast Journal, and the Journal of Reconstructive Microsurgery. Textbook chapters written by him appear in Grabb and Smith’s Plastic Surgery as well as in Problems in Breast Surgery: A Repair Manual. He is the recipient of multiple honors and awards, including the Super Doctors New York Rising Star award in both 2015 and 2016, an honor bestowed on less than 2.5% of physicians in the region. 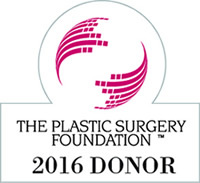 Dr. Blechman is active in various leadership positions in plastic surgery, and sits on the Board of Directors of the New York Regional Society of Plastic Surgeons, the Young Plastic Surgeons Steering Committee of the American Society of Plastic Surgeons, and the Young Microsurgeons Group of the American Society for Reconstructive Microsurgery. He is also a member of the American Society of Aesthetic Plastic Surgeons, the National Lymphedema Network, the World Professional Association for Transgender Health, the New York State Society of Plastic Surgeons, the Medical Society of the State of New York, the New York County Medical Society, and the Lenox Hill Physician’s Attending Association. Dr. Blechman has volunteered with international medical aid organizations in both Haiti and Nepal, and fundraisers for numerous local charities. Since 2013 he has run the New York City Marathon each year raising thousands of dollars to support cancer research at Memorial Sloan Kettering Cancer Center. Dr. Blechman lives in Manhattan, enjoys spending time with family and friends, as finds peace in yoga, meditation, music, and travel.